Every student in Vermont has the right to learn in, about, and through the arts. Actualizing that right will, in large part, determine students’ creative futures as well as the cultural landscape of our state. The Council provides transformative direct and arts-integrated experiences for students through Artists in Schools and Head Start Arts Integration Grants. Poetry Out Loud fosters a culture of poetry and community in participating high schools. 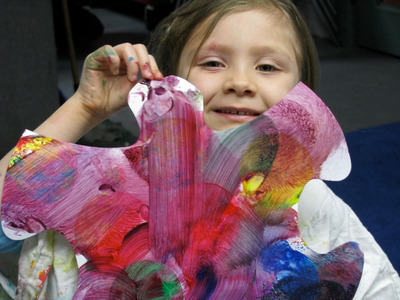 The Arts Connect Program gives teaching artists training in arts integration and Universal Design for Learning. Finally, the Arts Council uses its voice to support arts education in local communities by providing research, connecting resources, and advocating on their behalf in the legislature. Read about recent efforts in the Final Report and Recommendations from Envisioning Arts Education in Vermont. The Council's work is mapped out in this Arts Education Plan for 2014-2018.